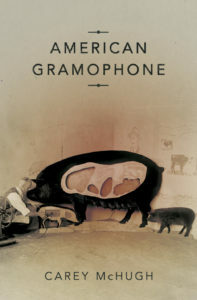 The poems in American Gramophone are menacing—spiked with hazards, threats, warnings, and spells—yet the contained lines and composed forms temper the peril with delicacy: a pin curl in the palm, glass shelves full of violets. The collection explores this sharpness and splendor in an agrarian landscape where earth is both burden and livelihood. Here, beneath the music of machinery and birdsong, the trap is set. Carey McHugh‘s poems have appeared or are forthcoming in Boston Review, Denver Quarterly, Gulf Coast, and Tin House. Her chapbook Original Instructions for the Perfect Preservation of Birds &c. was selected by Ray Armantrout for the Poetry Society of America’s 2008 New York Chapbook Fellowship. She lives and works in Manhattan. 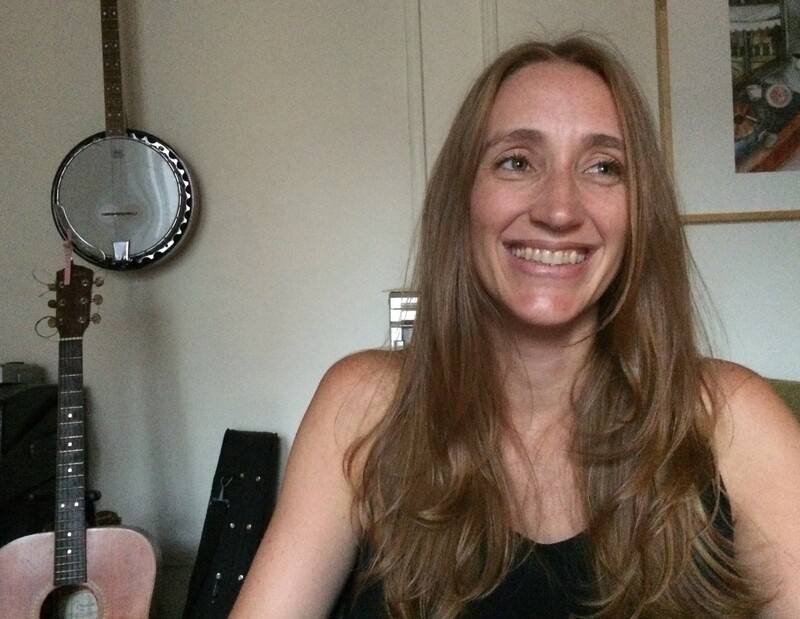 Carey McHugh is my favorite poet, living or dead, and she’ll be yours, too—or else. Throughout this distinctive, uncompromising debut, objects of perception inflict small disturbances upon the mind in the way that, in our earliest sound recordings, the amplified human voice compelled a needle to cut grooves into metal foil sheets or cylinders of wax. Ever awake, aware, and acutely responsive to natural phenomena and manufactured goods alike, the speakers of McHugh’s poems are shaken into spells of peculiarly beautiful, idiosyncratic language by the force of what they see, hear, think, and feel. “From airshafts I hear rummage,” she writes, “a toothsong constant as a clatter of calves.” Sensitivity this heightened can wear the humble human down, producing “odd palsies,” “hives at the wrist” and “anxiety a heron / under (one’s) lung,” but McHugh invests her work with a spirit as hardy and self-possessed as it is painfully mindful of “another swarm mounting within the swarm.” This is a powerful, nervy book, written with bravura, wit, and a way with the English language unlike that of any younger poet writing today. From where, off-kilter, as through a cracked window, comes McHugh’s astonishing poems of wrack, of wreckage, this night of eerie monologues, this ligament-strung music? From the long holler, from some old agrarian religion, from hiding children “stacked like firewood under the cellar stair.” From where, against the violence of being “in earshot,” the minutest details of milkweed and death beetles are a necessary palliative. I cannot stop hearing this book’s forlorn and strangely comic song.